The annual horoscope is otherwise called a progressed horoscope since the planetary positions are advanced to the following years level since the birth of a native. The first annual horoscope would of course be the birth horoscope itself since predictions can be given not only for the year of birth but also for the entire duration of life. Hence casting of an annual horoscope arises from the" second year onwards. The subtle difference between the birth horoscope and an annual horoscope is that the planets would have advanced to another sign or may be in advanced degrees in the same sign in the following year while the planetary positions are static in the birth horoscope. The slow moving planets viz., Jupiter, Saturn and Rahu would be more or less in the same sign in advanced degrees or may be in the following sign according to their movement. Other fast moving planets would be more or less in the same sign or nearby after a year's orbit. However, the Sun, on whose movement the annual horoscope is depended upon, has a fixed movement and would be back to the same sign and longitude as he was at the time of birth. 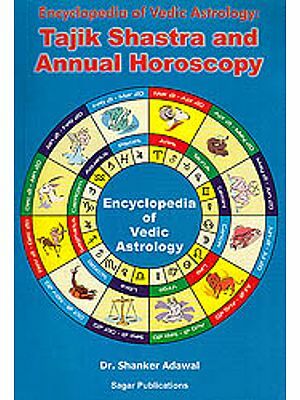 Since the preparation of an annual horoscope is a continuous process year after year on a progressive basis it is called a progressed horoscope. 1.2 Important points to be borne in mind for understanding an Annual Horoscope. a) Annual Horoscope is a part of a birth horoscope. This is cast for the moment of return of the Sun to the same longitude and Sign as he was at the time of birth. b) The Birth Horoscope duly prepared according to Mathematical exactitude should be with us. c) There may be difference in the ascendant signs in respect of birth and an annual horoscope. However the Sun Sign and his longitude should be one and the same in both the horoscopes. 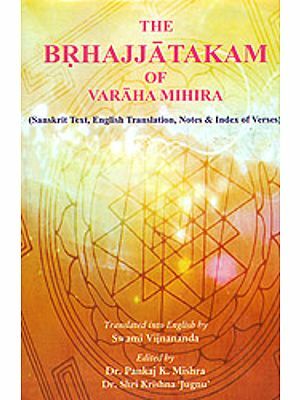 d) In order to create a linkage between the birth and annual horoscope our sages have introduced "Muntha," otherwise called a Progressed Ascendant. The movement of Muntha is one sign annually and the Sign and longitude of Muntha would be same as that of Lagna or birth ascendant. c) There are only male and female planets in Tajik Sastra unlike Parasari system where planets are categorized into male, female and hermaphrodite. The male planets are the Sun, Mars & Jupiter while female planets are Venus, Moon, Mercury and Saturn. The male planets are strong during the day and female planets during the night. 1.3 Planetary strengths through Harsha Bala and Panchavargeeya Bala . a) Harsha Bala is calculated taking into consideration the state of the planets from four different situations that are respectively Sthana Bala, Uchchal swakshetri bala, Stri Purush Bala and Diva / Ratri Bala. For every. . . situation gets five points. Total points are twenty. i) Sthana Bala: If in the annual horoscope the Sun is in 9th house, Moon in the 3rd, Mars in the sixth, Mercury in ascendant, Jupiter in the 11th, Venus in the 5th and Saturn in the 12th house and each of the planets so situated would get 5 points as strength as they are assumed to be happy in such situations. ii) Uchcha Swakshetri Bala: Planets in own sign or in exaltation .would get 5 points each. 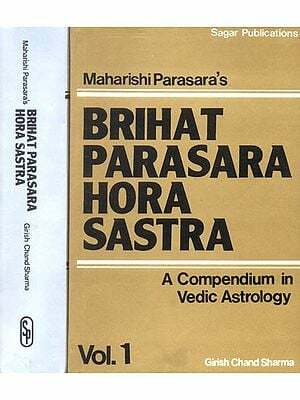 iii) Stri-Purush Bala: If male planets are posited in the 4th, 5th, 6th, 10th, 11th and 12th houses in an annual horoscope and female planets in the 1st, 2nd, 3rd, 7th, 8th and 9th houses would get 5 points each for such position. 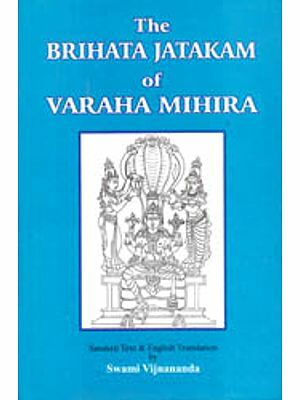 iv) Diva-Ratri Bala: In an annual horoscope that is cast for a day time birth, the male planets' would get this strength of 5 points while Female planets would get this strength of 5 points if the annual horoscope is prepared for the night time birth. The duration between Sunrise and Sunset is considered as daytime birth and the time between Sunset and sunrise of the following day is considered as night time birth. The total of Harsha Bala would therefore be measured on a twenty point scale. b) Panchavargeeya Bala contains Kshetra Bala, Uchcha Bala, Hadda Bala, Dreshkon Bala and Navamsa Bala and it is calculated to ascertain the strength of -the planets in five different situations. Details and methodology are discussed in Chapter Five.